Ensure continuous wireline operations with crane services. CRANE SERVICES AND OPERATORS CAN MAKE A DIFFERENCE. 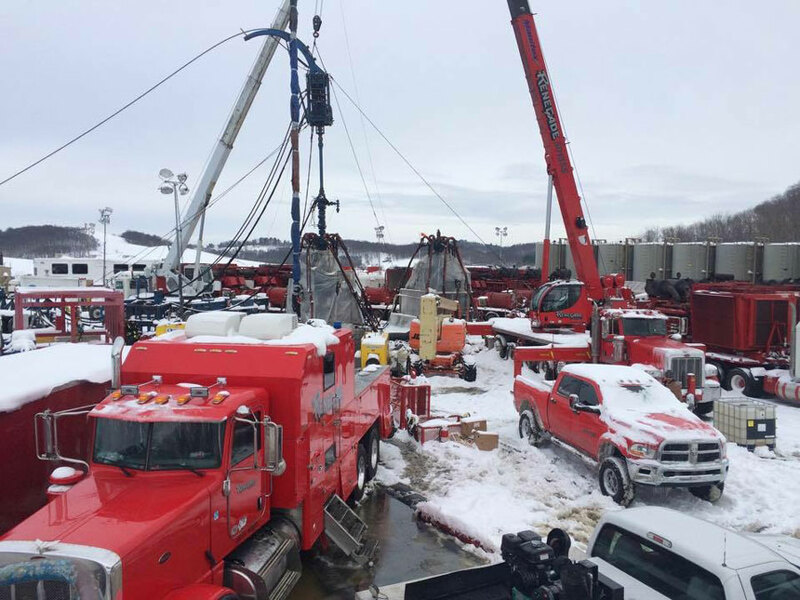 Wireline operations depend on having a well-trained and organized crew. A qualified crane operator plays a crucial role in a successful wireline crew. Moving and lifting equipment while rigging up and down is an essential part of support on the well-site. Bringing in a third party operator generally leads to miscommunication errors that can become costly to a productive operation. A trained operator can prevent a lot of problems on the well-site by being experienced in wireline operations and applying safe operational methods. We directly support wireline operations by suspending the lubricator assembly and BHA over the well. The operator is responsible for rigging up the frac iron before the job starts and again when it is finished. While the lifting capacity of cranes can vary, the correct one is selected on the basis of how heavy the equipment is and how far away it must be handled. Most operated by Renegade are 50 ton and 110 ton. This equipment is also used to hoist equipment in the air, as well as picking up gear such as coil tubing injector heads. Larger well pads require a longer reach than smaller ones, so larger capacity cranes are used in those circumstances. 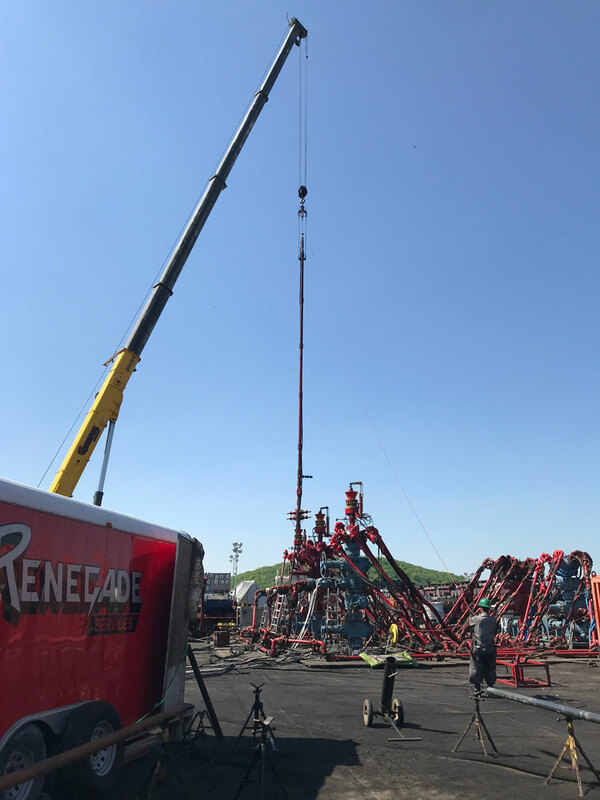 The primary advantage of using Renegade Services for crane services is in having one cohesive team that works together. Bringing in third-party crew members on an as-needed basis is both expensive and less efficient. Crew members who work well together can anticipate needs during completion operations. © RWLS LLC All Rights Reserved.